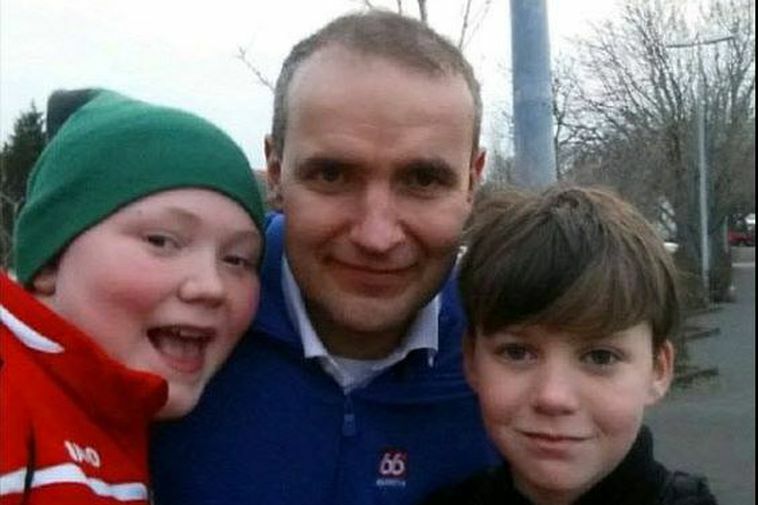 Sölvi and Tristan with President Guðni. Thirteen year old friends Sölvi Reyr Magnússon and Tristan Marri Elmarsson were at Laugardalslaug pool in Reykjavik yesterday when Tristan's mum was running a bit late to pick them up. Tristan spotted President Guðni Th. Jóhannesson by the pool and asked whether he could give them a lift home, which the President said was no problem at all. Jóhannesson, who had been presenting a swimming award at the pool told the boys he'd take them home in a minute, in the Presidential car of course. This was repoted bt Tristan's mum, Rakel Ósk on Facebook where she writes, "My son Tristan Marri is a very talkative boy and is not shy at all. He called me 15 minutes ago and told me, mum, you don't have to pick us up from the pool, I met President Guðni and told him you were running late because you were helping your sister to move and I asked him whether he could give us a lift back. So you don't need to pick me up I'm going home in the Presidential car." Rakel thought that her son was joking but in fact, her son and his friend arrived moments later in the Presidential car. Obviously, the boys were thrilled. "Where else in the world would this happen except here in Iceland and with President Guðni. Priceless!" Here is a post written by Sölvi's dad, Magnús with a video taken by the boys.